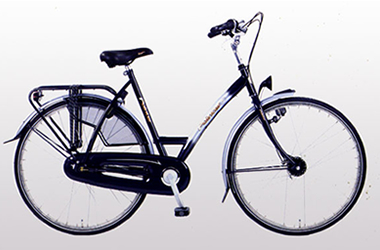 Choose from two different types of inconspicuous rental bikes. All bikes include 2 safety locks. Naturally, all our bikes are well-maintained and regularly serviced by our own trained staff. With coaster brake / single speed or – like your bike at home – with brake levers on the handle bar and Nexus 3 gears. For an enjoyable ride along the canals and across bridges. This bike is not bookable online, available as supplies allows. Give us a call when you are in doubt whether we have bikes available. We might ask credit card details (no debit card please) in order to secure show up. Bike with a larger “low mount” aluminium frame. 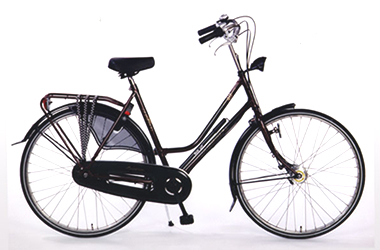 Easy to ride and with the 7 gears ideal for covering larger distances. Minimum of 2 days rental. If you are looking to hire a bike that is appropriate to make a trip through the Netherlands for a duration of at least one week, have a look at our /hybrids/.